On Saturday 8th July, Londoners will be taking to the streets in celebration of Pride 2017. This year the World Youth Organization team will be heading their own parade group walking from BBC Broadcasting House to Whitehall. 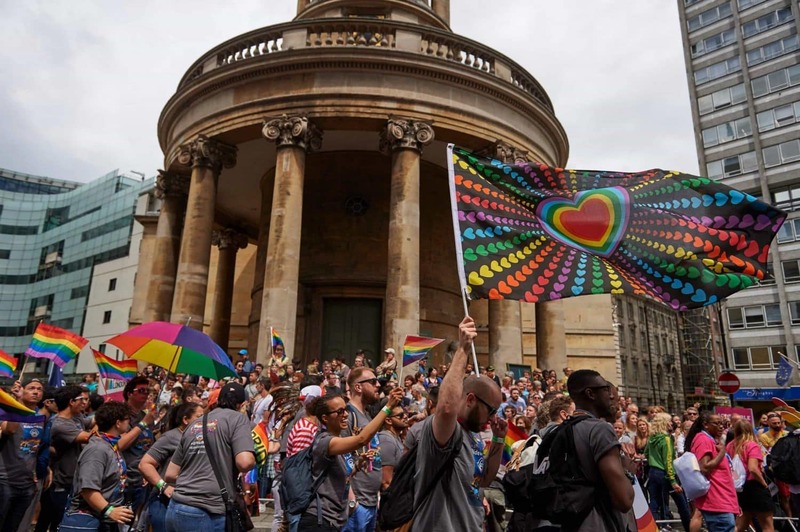 Pride in London is the only community event to close large parts of the West End, including Oxford Street. The Parade route is about two miles long. “This is a fantastic opportunity for the World Youth Organization to celebrate it’s diversity and support for the LGBT community. It has been a personal dream of mine to one day have WYO walk in the parade. We are all very excited!” – Kieran Goodwin, CEO at World Youth Organization. Organisers Pride London provides a platform for every part of London’s LGBT+ community (lesbian, gay, bisexual, trans*, queer, questioning, intersex, non-binary, asexual, polysexual, genderqueer and gender variant people) to raise awareness of LGBT+ issues and campaign for the freedoms that will allow them to live their lives on a genuinely equal footing. To find out more information about Pride in London visit their website prideinlondon.org/.